Back again after selling out in October 2018! Soul & Motown in Perfect Harmony. 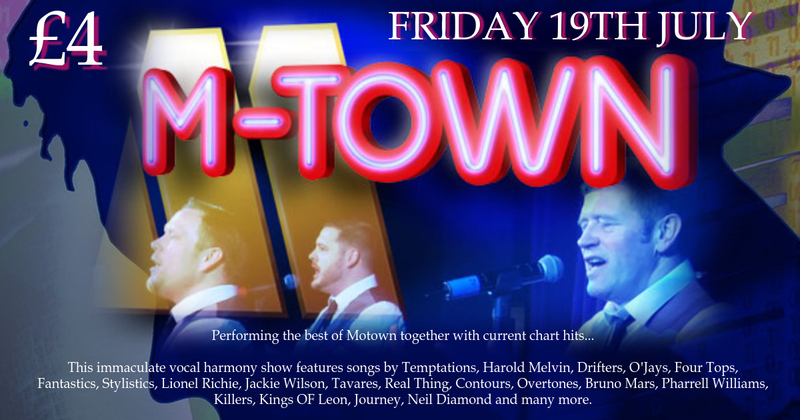 Immaculately presented and superbly choreographed, this amazing vocal harmony band features some of the very best songs from the Motown era, including tracks by Stevie Wonder, Temptations, Manhattans, Boyz 2 Men, Gladys Knight & The Pips, Four Tops, Drifters, Frankie Valli, Billy Ocean, Chaka Khan, Harold Melvin & The Bluenotes, Edwin Starr, Sam Cooke, Jimmy James & The Vagabonds, Real Thing, Elgins, Tymes and many more.